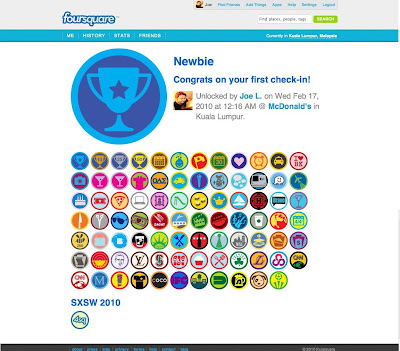 Ok so the last Foursquare badge entry was a favourite with a lot of you. I'm glad I could have helped so many of you get the Groupie badge. So now ... after all the endless pujuk rayu and so on... I'm going to start occasional entries to show you guys how to unlock badges - one by one. 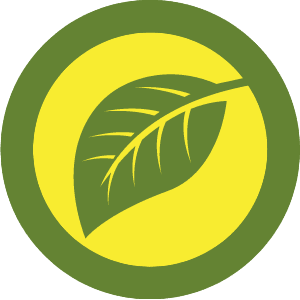 I'll give your more details of what you need to do to unlock the badges (such as number of check-ins and other conditions and such). Again, this is based on personal experience since I started Foursquaring on Feb 17 this year which makes it almost five months now. Again, if you don't have me on Foursquare, just CLICK HERE and add me up. As you can see... much of the badges I've acquired - 84 at last count are nice. Quite nice.. especially since quite a few are inactive now. Yeap... Foursquare has had A LOT of badges in existence. 75 of which are no longer active or in the case of some like the first badge below, the BFF badge, was never activated in the first place. Then there are the event sensitive ones which lasted as long as the event, those that have been replaced by new ones (like the Apple one), as well as surprise badges (like the Team COCO one at Bonaroo which I was so effing lucky to get by chance). So these are the badges - you'll NEVER have (if you haven't unlocked them). My regret is that I'll never be able to get the Marc Jacobs Fashion Victim and the Show Hopper for Fashion Week which has a heel. Damn! Fine additions to my collection indeed. So.... give me a little bit of time and within the next couple of days, I'll begin the series on how to unlock the badges, one by one. And yes, you don't even need a jet-setting lifestyle to do it. Speaking of which, I'm going Bangkok on Friday for a week! Hurrah! this post has been uber helpful on my fousquare account! made a post on the same topic, hope you wont mind me referring to you.